Dr. Parul Patel has a Doctorate in Marriage and Family Therapy, a Masters in Marriage and Family Therapy, and a second Masters in Human Development. 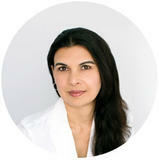 With over 15 years of psychotherapy experience, Dr. Patel specializes as a marriage and relationship therapist. Having researched Love in Contemporary Life, and Conflict Resolution in Relationships, Dr. Patel brings this research, insight and experience to her work with couples. Dr. Patel speaks four languages and is a cross cultural therapist with international experience which allows her a deeper understanding of relationships, intimacy, communication and connection in a larger cultural context. Her commitment to her work is to help couples identify the patterns in their relationship, and the relationship’s core problems, and then to equip couples with the tools and practice required to shift toward health. Her therapeutic approach is custom-made to fit each couple and their particular relationship concerns. Her approach is basic yet powerful because it leads to compassion – a key ingredient for creating a positive change. Goals in therapy typically include providing a new perspective on the relationship, new individual insights, and the tools to effect and maintain lasting change. Along with Couples Retreats, Dr. Patel practices in Orange County, California where she works with couples, individuals and families to address relationship wounds. Personally, besides working with couples, she enjoys mindfulness and yoga, as well as writing. Her novel Meera available internationally includes themes such as loyalty, fidelity, love, compassion, remorse and forgiveness. Couple Care offers individual & couple relationship counseling in Orange County California. Couple Care Couples Retreats are highly effective personalized programs that compact months of therapy in just days. These Retreats are designed to help couples whose relationships suffer from chronic distress due to constant conflict or silence and distancing, so that the couples can emerge with a deeper level of understanding, empathy and connection with one another. Couple-Care Retreats aim at providing a new perspective on your relationship, new insights into yourself and your partner, and the tools to effect and maintain lasting change.